Engagement rings deserve their own “How To” book with all their fancy lingo and complexities. If you are a future bride trying to hint to your significant other or a future fiancé trying to feel his way around in the dark this blog post should provide a healthy amount of guidance. The cut of the diamond refers to the facets that are sculpted into the raw stone resulting in a nice polished shape. If these facets are not placed with precision the diamond will lack that incredible sparkle which diamonds are famous for and lets face it, all girls are in love with sparkle. Now that you have decided the shape the next step would be to pick the weight. 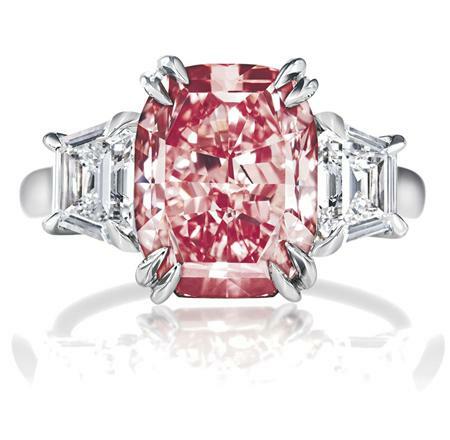 Carat refers to the total weight of the diamond. It is important to know that the weight of the carat is not directly correlated with price. The bigger the carat does not mean the bigger the price tag. 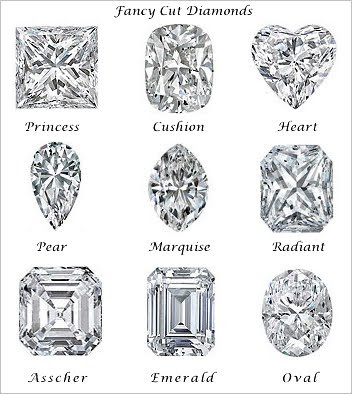 Size isn’t everything in the diamond world. Price is more strongly correlated with flaws within the diamond. So most of us have to decide what is more important, size or flawlessness. Clarity measures the imperfections mentioned earlier. Diamonds are graded on clarity by an 11 step scale ranging from flawless to imperfect. Most jewelers in this world have never seen a flawless diamond so set your expectations accordingly. Don’t worry too much about the flaws, since most flaws are impossible to see with the naked eye, you can consider them tiny secrets giving the diamond character unique to any other diamond in the world. The last C is color; you must decide whether you prefer a colorless diamond or a fancy diamond. Colorless diamonds are graded from D to Z, D being completely colorless. Similar to the clarity of a diamond, the more co lorless a diamond is the more rare and expensive it will be. Fancy diamonds are rare as well. These type of diamonds are for the unconventional ladies who love to reinvent. They are naturally colored pink, yellow or blue. 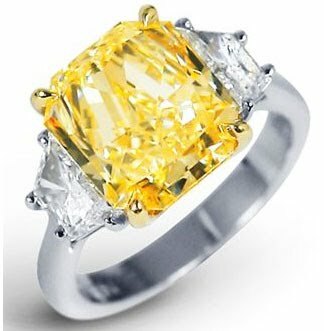 The more saturated the color of the diamond is the more expensive the stone. Fellas, you may want to check with your lady before going this route while these gems are gorgeous, it is either loved or hated. 1. Need to find out her ring size? 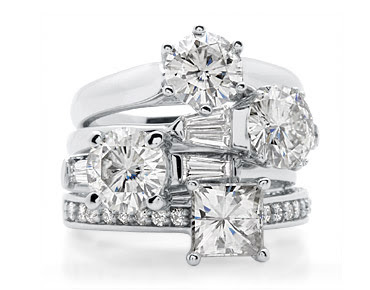 Snag an existing ring and take it to the jeweler (make sure it is a ring she actually wears). 2. Can’t figure out what she likes? You can bet money that she has described to her best friends and family EXACTLY what she wants. Put your Sherlock Holmes hat on and do some investigating. There you have it, the four C’s of diamonds! Now get your pocket book ready! © 2019 Soireebliss|ProPhoto Photography Template by NetRivet, Inc.